Beauty lies in the abstract logic of connectivities – a nexus through which space and form emerge. Nexus is the first textile produced from the design research undertaken by Balmond Studio. 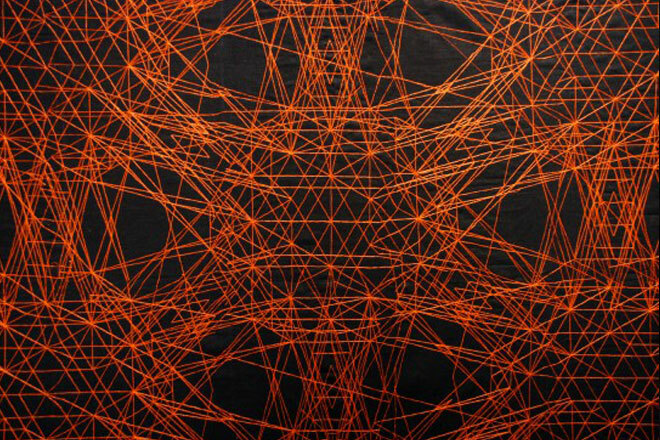 It is an embroidered web derived from a set of algorithms that have complementaries embedded within them. This seeds a deep symmetry that grows forms in fundamental ways. A dynamic cross between the traditional and the contemporary is achieved with digital line taking on the delicacy of the thread. To see the vortex click here. 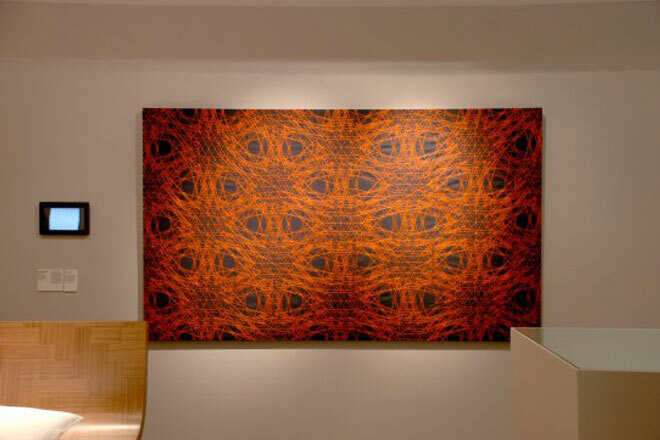 Balmond Studio collaborated with London Embroidery Studio to create Nexus. It is currently being shown at the Wallpaper Handmade exhibition at Brioni House, Milan as part of the Salone Internazionale del Mobile, 2012.